Addameer Prisoner Support and Human Rights Association can confirm the launch of a mass open-ended hunger strike involving over 100 Palestinian political detainees. All those involved are being held under administrative detention, which is a procedure whereby detainees are held without charge or trial. Today’s hunger strike can be traced back to May 2012 when an agreement was reached between the Israeli Prison Service and representatives of the prisoners, which brought an end to a mass hunger strike involving approximately 2,000 political prisoners. As part of this agreement Israel agreed to limit its use of administrative detention to only exceptional circumstances. 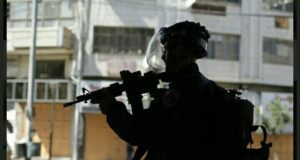 However, since then Israel has reneged on the agreement and has continued to use administrative detention on a systematic basis leaving the detainees with little choice but to launch a fresh strike. The strike is currently taking place in Ofer, Megiddo and the Naqab Prisons and there are plans to escalate the strike should the striking detainee’s demands not be met. 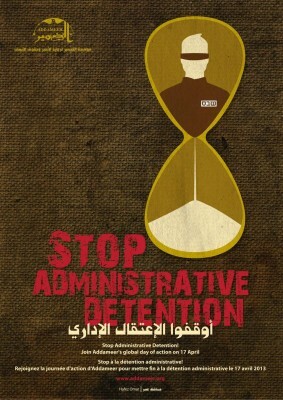 The general demand of the hunger strikers is an end to the use of administrative detention. The hunger strikers are also specifically demanding that extensions to administrative detention orders are limited to one extension only. As of 1 March 2014 there were 183 Palestinians being held without charge or trial under administrative detention, including 9 Palestinian Legislative Council (PLC) members. This number has been steadily increasing over the last year. In 2014 alone, Israel has used administrative detention against 142 detainees, including renewing existing orders and issuing new orders. Addameer lawyer Samer Sama’an today visited a number of administrative detainees, including PLC member Yasser Mansour, at the Naqab Prison. It was confirmed that 55 administrative detainees being held in the Naqab Prison have launched a hunger-strike. 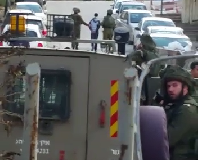 All striking detainees were immediately isolated by the Israeli Prison Service from the rest of the prison population and are currently being held in tents. specific circumstance and on a case-by-case basis. This is clearly not the case given Israel has used administrative detention against tens of thousands of Palestinians. In another development Mr. Sama’man reported that prisoners and detainees being held at the Naqab Prison wishing to meet their lawyers are forced to wait for long periods of time in tiny cells which lack any sort of ventilation. As a result many are choosing not to meet with their lawyers due to the humiliating procedures that the Israeli Prison Service has imposed on them. Addameer holds the Israeli authorities solely responsible for the health of all hunger strikers. Addameer also demands that all contracting parties to the Fourth Geneva Convention pressure Israel to immediately release all administrative detainees and cease the use of administrative detention. 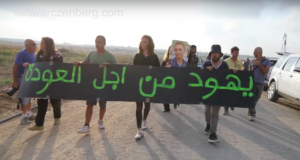 Furthermore, Addameer calls on global civil society to mobilize without delay in support of the striking detainees and 5,000 Palestinian political prisoners currently being held in Israeli prisons.